Our product range includes a wide range of wood plastic composite board. Fostered with a team of highly experienced professionals, we are able to offer a broad assortment of Wood Plastic Composite Board for Furniture to our precious clients. The offered board is mainly used in different kinds of furniture. 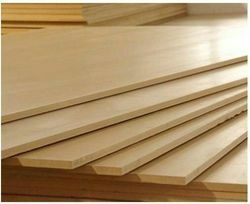 Our professionals manufacture the offered board using best quality raw material in sync with the industrial standards. We offer this board in diverse sizes and thickness as per the requirement of clients.